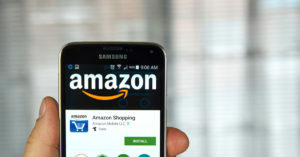 Amazon is reportedly testing new ad tech tools that will see the eCommerce giant make its biggest move yet in its attempts to rival digital advertising firms like Google. The firm is trialling a new display offering that will enable merchants using its online marketplace to retarget consumers around the web. According to Bloomberg, which cited peoplle with knowledge of the plans, the pilot scheme for the ad tech tool will be trialled with select merchants later this month. The offering is designed to lure consumers back to Amazon to make their purchases. Currently, Amazon enables merchants to buy other ad formats within its own ecosystem, including more-prominent placement within search results. The new tools will let sellers bid on ads that will appear on other websites and apps, giving them much wider reach. The ad format will enable merchants to target shoppers who have viewed their products or similar ones, according to an invitation to try the new tool. Details of the scale of the ad network Amazon has put together, or specifics of which sites or apps ads will be placed in, have yet to be revealed. Developing this kind of targeting technology is a big leap forward for Amazon’s ad business, which the company has been placing an increased emphasis on in recent years. The retailer is becoming more aggressive in its attempts to break into the ad tech market, and with Facebook and Google already dominating the market, many smaller firms risk being pushed out. Criteo, which generated $2.3bn (£1.7bn) last year in re-targeting revenues last year, saw its share price drop as much as seven per cent as a result of the news. Despite its push into the ad business, Amazon still has a relatively small presence, bringing in just $1.7bn last year compared to Facebook’s $40bn and Google’s $95bn. However, with its wealth of first party data and considerable resources, Amazon could well prove a significant challenger to the digital duopoly.